Thank you for your interest in our Newnan GA law firm. 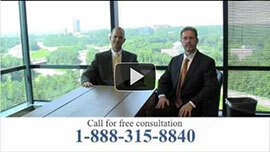 The personal injury lawyers of Link & Smith, P.C. have devoted their practice to representing persons that have been injured through the negligence of others in Newnan and throughout the Southeast. We handle personal injury claims arising from serious and catastrophic car wrecks, tractor trailer wrecks and premises liability claims. Over the past twenty years our personal injury law firm has successfully handled personal injury claims, wrongful death and catastrophic injury cases from the settlement stage to the trial and appellate levels. We serve clients across the Southeast including Newnan, GA. Your life will likely be significantly impacted if you are injured in an accident. Injuries can mean high medical bills, lost wages, and of course, pain and suffering. If you try to handle your claim on your own, you are not likely to receive the maximum personal injury settlement. Can you afford to handle your own claim? If you have been injured in an accident, you need the legal counsel of someone who has years of experience dealing specifically with personal injury cases. The injury law firm of Link & Smith, P.C. located in Newnan, GA is ready to take your case.